How to find what you want? How often do we add tunes? What currency are the goods priced in? How do we grade records? What does WOL/STOL etc mean? How do you listen to a sound clip? We are one of the oldest and most established retailers of Jamaican music. Currently we sell Vinyl and CDs. 100% Original. In Top Condition. Guaranteed!! How to find what you want. All items in our catalogue can be found from the respective home page of each shop. However, vintage stock can only be searched on the vintage site and likewise for the shop site. There are many different searches available and many combinations. All parts of the site are linked. So click on an artist name and you will go to all the records we have by that artist. This applies to all categories. REMEMBER...IF ITS ONLINE ITS AVAILABLE. You may search using artist name/song title/producer/record label. Please remember to enter the correct spelling. 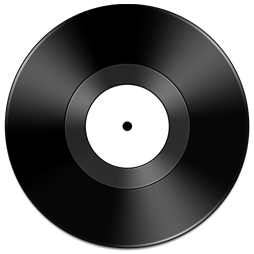 If you wish to see an image of the record you want to buy and it is not already there please email us with record title/artist/label and we will provide it. The only way is online. Should you wish to pick up your records at our retail shop in Brixton, this option is available at the checkout. Please allow 3 days from order for collection. We encourage you to login with us so that each time you visit, your shopping cart will remain intact and you will be able to view your order history. However, you do not need to do this to buy from us. We accept payment from either PayPal OR WorldPay ONLY. These are all calculated automatically online. You can find out the costs yourself by going through to the checkout with the records you want in the basket. All records are mailed as you choose. We can ship standard airmail. However we strongly advise against this. For further information, please view our terms and conditions. Allow at least 10 days on all International orders. We add records almost every day. All records added within the last 120 days are all viewable directly from the home page. To view vintage records click here. To view new records click here. All records are priced in UK pounds £ (Sterling). Remember all payments through WorldPay for Credit/Debit Cards or Paypal (Please select payment in UK £) are automatically done in sterling and converted for you. We try to be strict in our gradings. Occasionally we may get it wrong or we won't match your expectations. However we always offer 100% money back guarantees on purchases. Click here to view our terms and conditions. After each grading of the vinyl. Ex/VG etc, we make abbreviated comments to help you understand the exact condition of the record you are buying. WOL...Writing on the record label..An S in front means Small.. In this case the record is in Ex+ condition and has writing and a sticker on the label. We really do try to grade well and fairly. Its in nobodys' interest to have unhappy customers!! If you see 2 gradings ie Ex/Ex. The first lettering applies to the sleeve or cover. By far the most common grading is Ex or Mint. All records containing sound clips will be identified by the icon. Clicking this icon will play the sound clip. All orders that are shop pick ups must allow three days from order to pick up. This is because our online stock is not located at our shop. The shop is located at 98 Granville Arcade Brixton London SW9 8PS. The shop opening hours are 11am to 6pm Monday to Saturday and 11am to 4pm on Sundays.